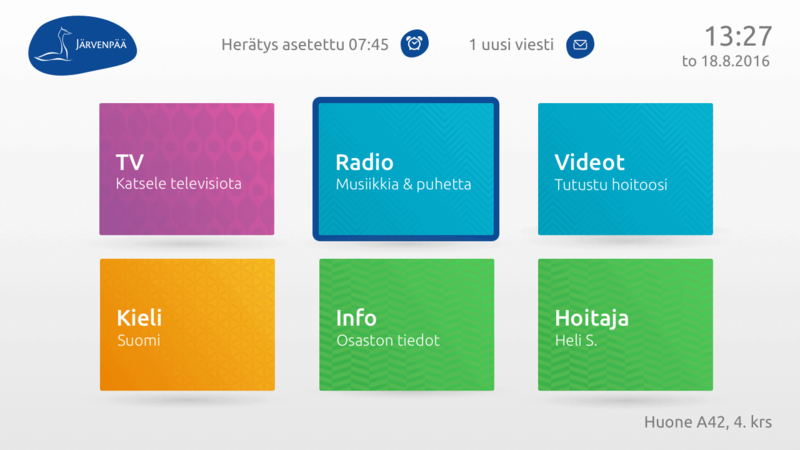 Watson Nordic, a Nordic OTT multiscreen service relies on the Hibox Aura middleware and system integration offered by Hibox. 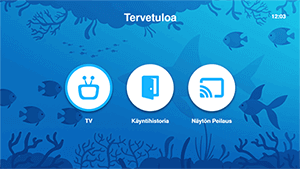 The service is available on Smart-TVs, set-top-boxes, HDMI sticks, PCs and mobile devices and features content from the largest video rental chain in Finland, Makuuni. Solcon NV, one of the leading Dutch ISPs, provides an IPTV&OTT service where consumers can watch Live TV, recordings and Video-On-Demand on set-top-boxes, laptops as well as mobile devices. 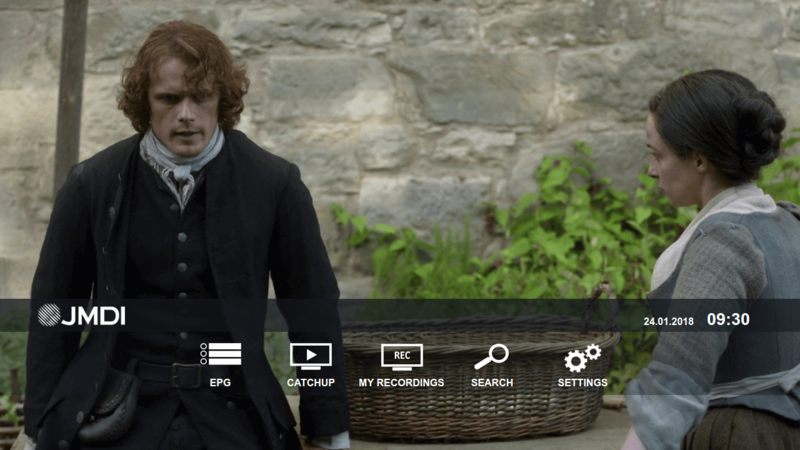 Furthermore, the service is integrated with leading Video-On-Demand services in the Netherlands. JMDI, a Polish multimedia telecommunications provider chose the middleware platform solution Hibox Aura to provide LiveTV and nPVR services to their subscribers. Utilizing the Hibox Recorder almost 100 channels can be recorded. Coopeguanacaste, is a cooperative which provides electric services in Costa Rica and have now expanded into a new Business segment, providing fiber connections together with IPTV Service using Hibox platform. They wanted a flexible turn-key solution which allowed for rapid development and customization. 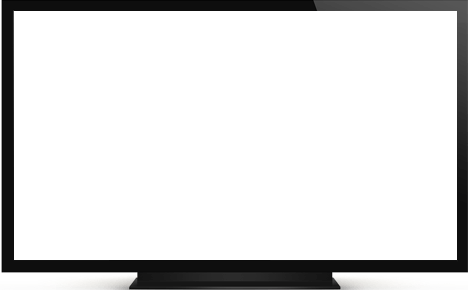 Their TV offering is including 150 international TV channels. 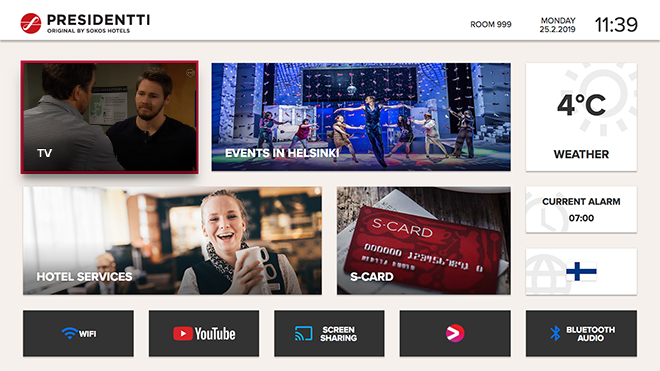 Sokos Hotels, the biggest hotel chain in Finland, and Hibox are deploying a chainwide roll out of Hibox Smartroom and Hibox Housekeeper in all of Sokos Hotels locations.  This covers more than 10 000 hotel rooms in up to 50 hotels in Finland, Estonia and Russia. 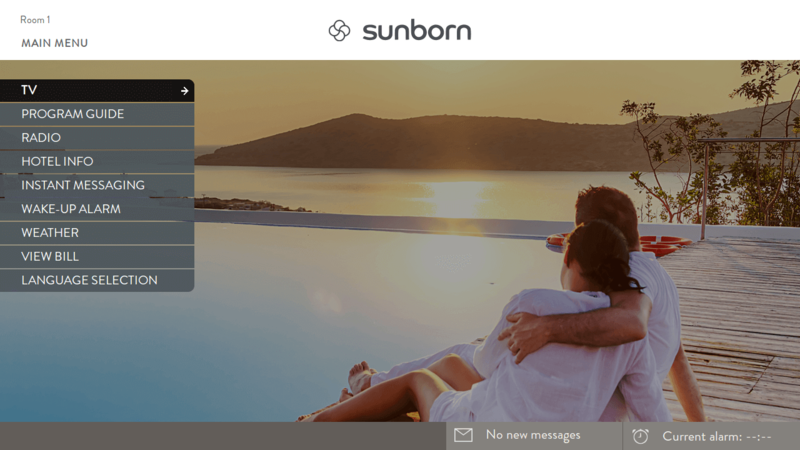 Sunborn operates hotels, restaurants, spa resorts and yacht hotels in Finland, Germany, Denmark and England, and uses Hibox Smartroom to provide interactive TV to their guests. 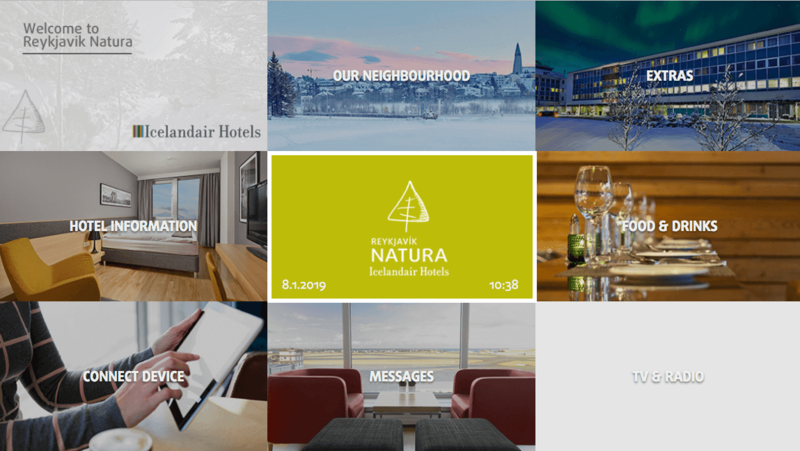 Icelandair Hotels is a leading chain of quality hotels in Iceland that uses the Hibox Smartroom hotel TV system to further promote their brand through custom UI, and to increase customer satisfaction through a modern digital experience. 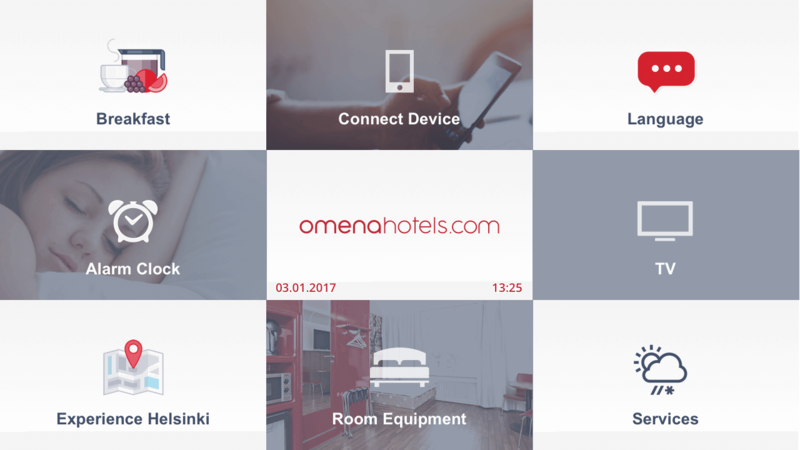 The Omena Hotels chain has 7 hotels in Finland. 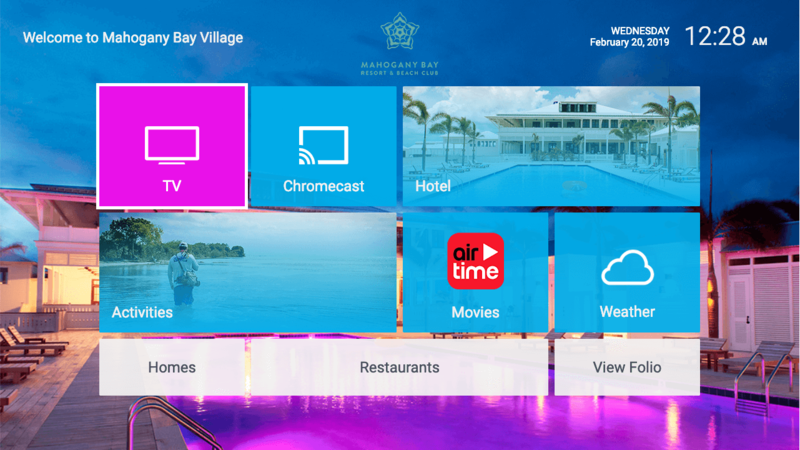 Hibox's IPTV system is fully integrated into all operations and is used in every hotel to promote the brand and to improve customer service through interactive services. The Reykjavik Konsúlat Hotel belongs to the Curio Collection by Hilton and combines luxury and style in the heart of the city. 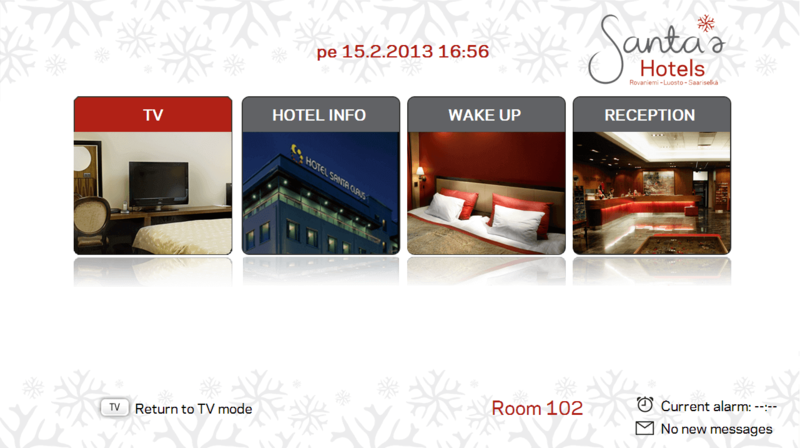 Konsúlat deployes Hibox Smartroom for delivering in-room entertainment and information to their guests. A custom user interface tailored to their brand allows the hotel to extend their style to their digital services. Canopy by Hilton is the lifestyle hotel brand of Hilton Worldwide. 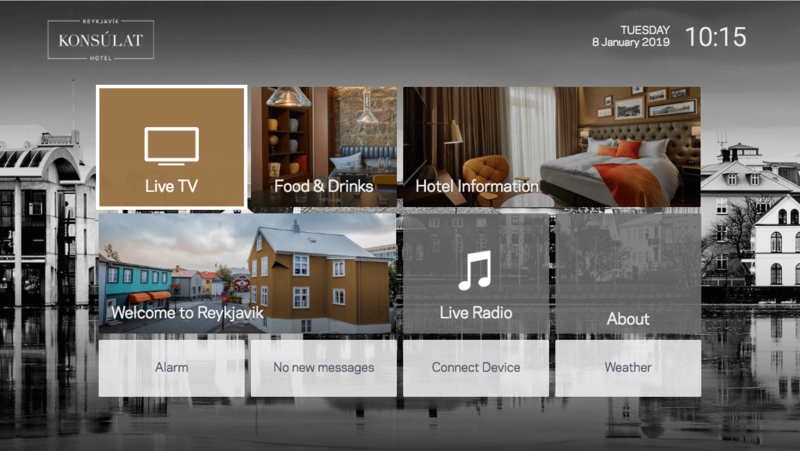 The first Canopy hotel in the world, in Reykjavik, Iceland, utilises Hibox Smartroom in-room TV system for information, entertainment and screen sharing. Hotel Santa Claus is the highest-profile hotel of the Santa's Hotels chain that has several location in northern Finland and is well-known for their glass igloos in Lapland. This is the first deployment in the world of Samsung’s H-browser TVs. The hotel was also first to use the Hibox Evacuator, and won a security prize with the system in 2013. Mahogany Bay Beach Resort and Club is a luxury destination located in the Carribean islands of Belize. Also a part of the Curio Collection by Hilton, the hotel completes their guest experience with Hibox Smartroom in 100+ rooms. Equipped with casting and native apps the guests can enjoy a digital experience like in their own homes. Viking Line is the market-leading brand in passenger traffic on the northern Baltic Sea. 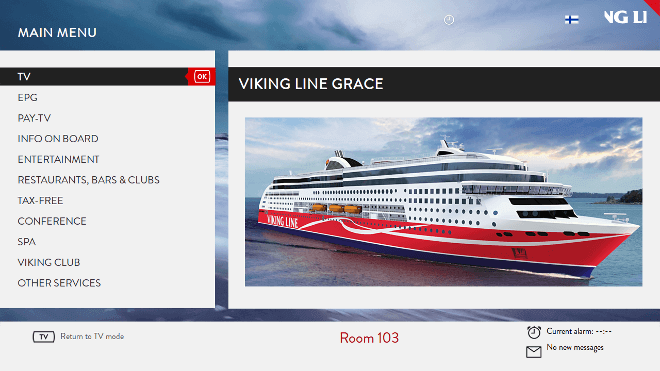 M/S Viking Grace, the flagship of Viking Line, runs Hibox Smartroom on Philips Smart TV:s, and also the Housekeeper for selected cleaning management. 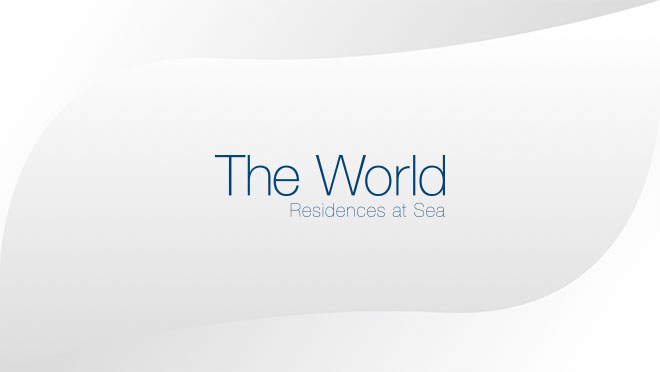 The World is the largest privately owned residential yacht on earth. The yacht, equipped with 165 luxury apartments and over 200 crew cabins, is powered by the Hibox Smartroom TV Solution. Integrated with the SPMS, Hibox Smartroom provides a versatile infotainment solution to river boats from Emerald Waterways. 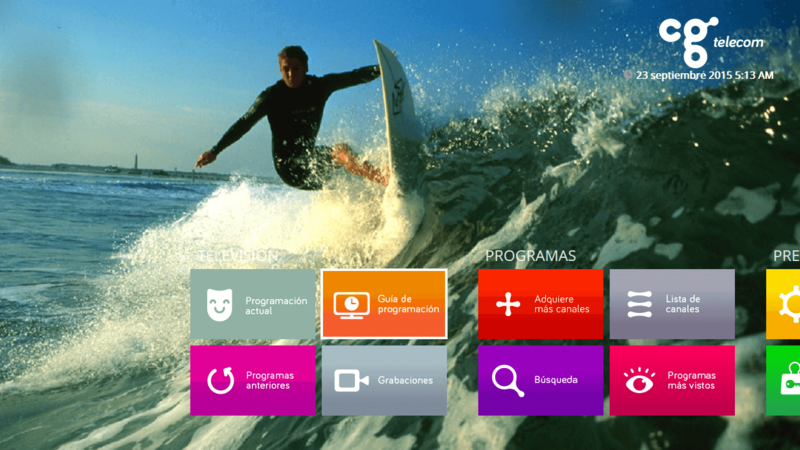 The system is used with LG smart hotel TVs. Avalon Waterways offers ship and river cruises worldwide. Their European river boats use the Hibox TV system for rich entertainment to passengers and crew alike. 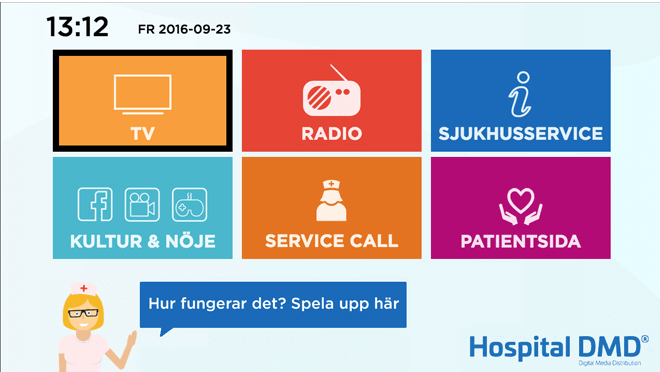 Hibox provides the Hospital DMD platform to Nya Karolinska via partners. A uniquely intuitive user interface and remote control is combined with new functionality and a survey integration. The new Järvenpää Hospital uses Smartroom for management of all screens, in public areas as well as patient rooms. The system is deeply integrated, with service call, queue management, calendars and emergency alarms etc. Turku University Hospital (TYKS) uses Smartroom Patient TV system to allow patients to acquire additional information on heart diseases and related treatments, e.g. using guidance videos and animations on the TV screen. Helsinki University Hospital (HUS) chose the Hibox Smartroom Healthcare TV system for their state-of-the-art New Children's Hospital that opened in 2018. Integrated with Elisa’s tablet, the digital experience is tailored for each patient depending on age and other factors. The staff is identified upon entry and presented on the TV to increase the sense of safety for the patients.